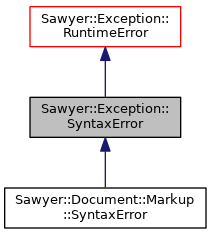 Definition at line 86 of file util/Sawyer/Exception.h. Constructor taking a description of the error. Definition at line 92 of file util/Sawyer/Exception.h.